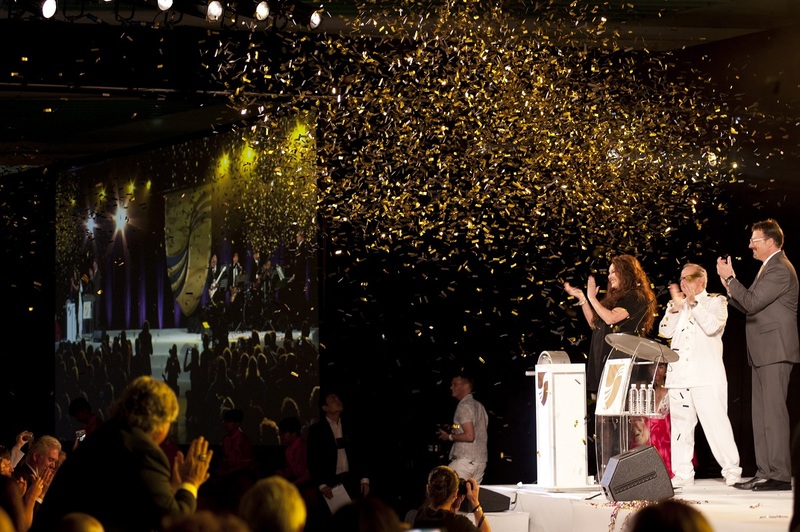 Seabourn cruise line formally introduced Seabourn Encore at an evening ceremony, pier side in Singapore at the weekend. Guests and VIPs joined Seaboard staff to enjoy the celebrations, as a projection screen showed when Brightman sent a bottle of champagne smashing against the bow of the ship. Local musicians and acts, including lion dancers and stilt walkers, sent the ship and its guests off in great style. Seabourn Encore is the fourth ultra-luxury vessel to join the Seabourn fleet and the first of two ships to be designed by the iconic hospitality designer Adam D. Tihany. The second, Seabourn Ovation, is currently under construction and is scheduled to launch in spring 2018. With the inaugural voyage, Seabourn Encore is also marking the formal debut of several new onboard partnerships: Spa and Wellness with Dr. Andrew Weil is being introduced working with The Onboard Spa by Steiner, offering guests a holistic spa and wellness experience that integrates physical, social, environmental and spiritual well-being. In Encore’s Grand Salon, there is a new show, ‘An Evening with Tim Rice’, created exclusively for Seabourn in association with Belinda King Creative Productions. The concert-style presentation, narrated by Sir Tim, with live music, singers and dancers, takes the audience on a musical journey through some of the award-winning lyricist’s best-known work – from Aladdin to The Lion King. And Seabourn Encore will also be home to The Grill by Thomas Keller, inspired by the classic American chophouse, the first of which opened on Seabourn Quest last year. All three innovations will be rolled out across the entire Seabourn fleet by 2018. Seabourn Encore will spend her maiden season sailing the Pacific Rim before returning to Europe in May 2017 to spend the summer in the Mediterranean.